Wish I could help. Mine is 21-159.. 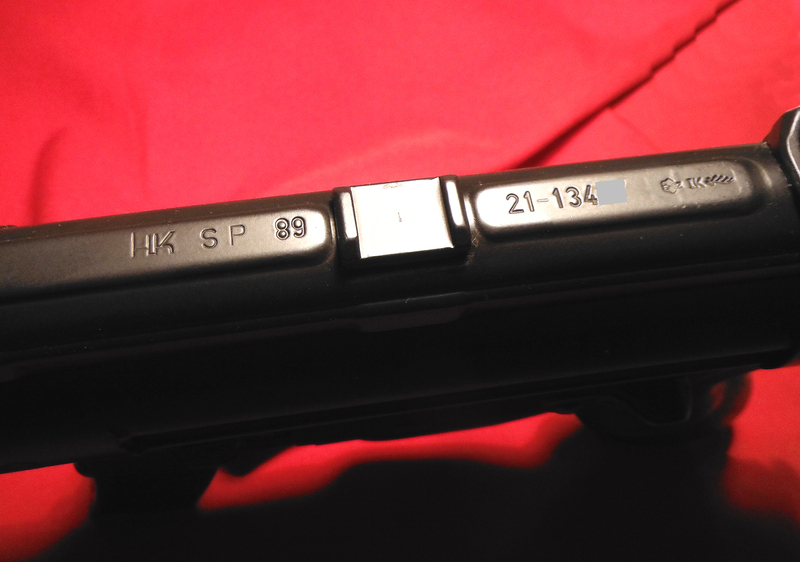 If anyone has serial numbers between 21-13638 and 21-13678 on their SP89's, please PM me with the serial number and whether the top receiver is marked "HK SP 89" (early), or "HK SP89" (later)!!! Still looking for serial numbers between 21-13638 and 21-13678 and whether the top receiver is marked "HK SP 89" (early), or "HK SP89" (later)!!! in regards to Heckler & Koch history and information. Your posts are very informative. Thank you--- that is an early one!!! Also, thanks for the pic, showing the spacing between "SP" and "89". You are quite welcome--- hope to have my data available soon, so that all can be as "knowledgeable" as me --- PM to you.